I haven't made an amateur radio contact with a completely new country in a while, but I have worked on getting countries on new bands in the log. This weekend I had the 6-40m longwire antenna out. 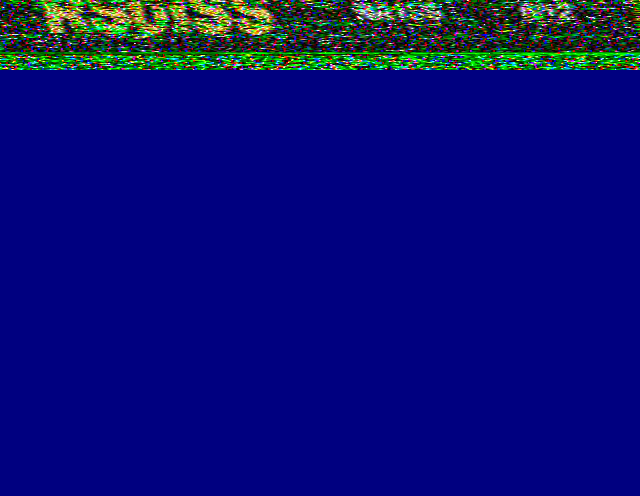 It did not want to tune on 12 meters but I made contacts on the 10, 15, 17, 30 and 40 meter bands. Some new country/band combinations were added: Moldova, Montenegro, Japan and the Slovak Republic on 30 meters, Estonia on 17 meters, Latvia on 15 meters. I also made contacts with several stations in the URE 70 year anniversary special event. Update 2019-04-15: Tuned the longwire for 80 meters and added Serbia and Norway as new 80 meter countries. Although FT8 does great work for weak signal reception on HF bands it's also nice for the 2 meter band and the 70 centimeter band. So after lots of tries with the 2 meter band I decided to give the 70 centimeter band another try. But, there is one thing: there aren't many stations active in FT8 on 70 centimeter and even when one is active in the nearby area that station may be on a different FT8 frequency. The real standard is not there yet. I check for activity via the PSKreporter site. My two FT8 on 70 centimeter contacts where on 432.174 and 432.176. In the past week I made my second 70cm FT8 contact, and again with another amateur in the JO22 gridsquare. So the map for 70cm gridsquares contacted and confirmed isn't very spectacular yet, but I'm going to generate and maintain it anyway. Now in the list of maps at pe4kh.idefix.net. Every week there is an hour of morse training at my radio club, see article CW cursus op PI4UTR (Dutch). And I'm going there every week I can, as learning morse is an important part of my amateur radio resolutions for 2019. We're training with the G4FON morse trainer which uses the Koch method (order of characters to learn) to learn morse and so-called Fairnsworth timing (playing the dits and dahs of the characters at the high speed but leaving room to think about what you just heard). I am doing ok, now we're getting to the level of 37 characters I have a hard time remembering the newest characters. Constant exercise seems the only way to fix this a bit, making exercises with just the characters I keep making mistakes in, although I can go blank again on new characters when switching to testing the whole set. As soon as I get reasonable low amounts of errors I'll try to raise the speed (by raising the effective speed, the dits and dahs of a single letter still come at 15 words per minute). I want to learn this, with the plan to pass the Belgian CW test some day, and get up to enough speed to be able to participate in morse parts of contests and DX contacts. But there will be a lot of practice before I'm at that level. I like hearing about other experiences in amateur radio from around the world. Podcasts are an easy way to hear experiences, news and opinions from other amateurs. And they fit nicely into my daily commute. This weekend was the EA PSK63 Contest and I participated Saturday evening, Sunday morning and a bit Sunday afternoon. I planned to participate in this contest so I set up the endfed antenna outside Friday evening because I would be away most of the Saturday daytime. With the current radio propagation and a serious part of my participation after sunset I decided to enter in the single operator 40 meter category. I made 106 contacts, with 25 different spanish provinces in the log (out of 52 possible province codes). Spain by itself has 50 provinces with Ceuta and Melilla not counting as a province but they do count in the contest. I also participated in the EA PSK63 contest 2016 with 60 contacts and EA PSK63 contest 2018 with 125 contacts (but only 79 in the 40 meter band). 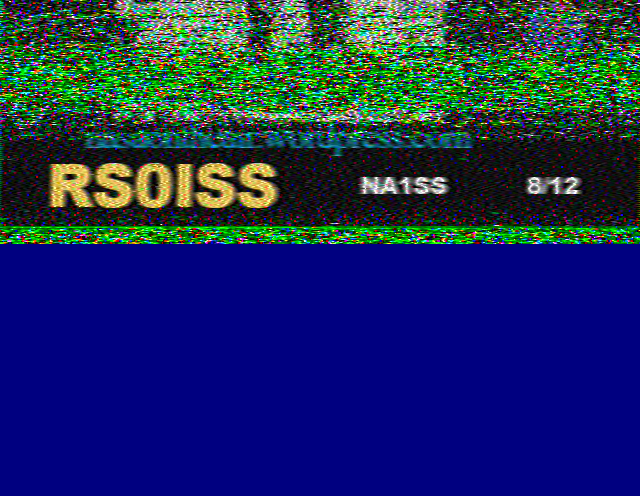 Sunday had less time to be at the radio for ISS passes but one pass was ok. 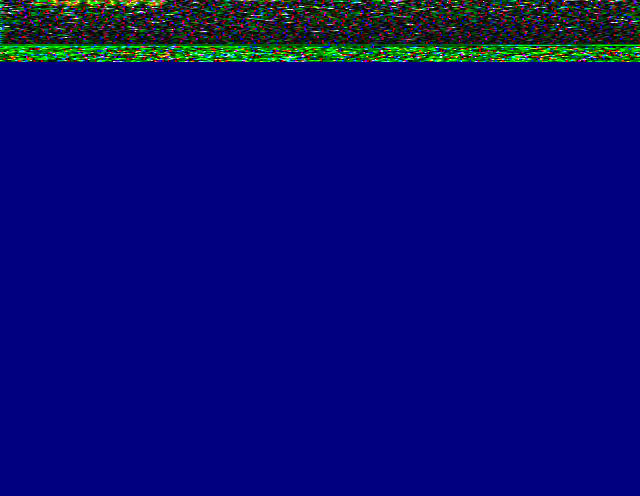 It started with the end of one image, one full image and the start of the next image. The audio recording of the whole pass is included. 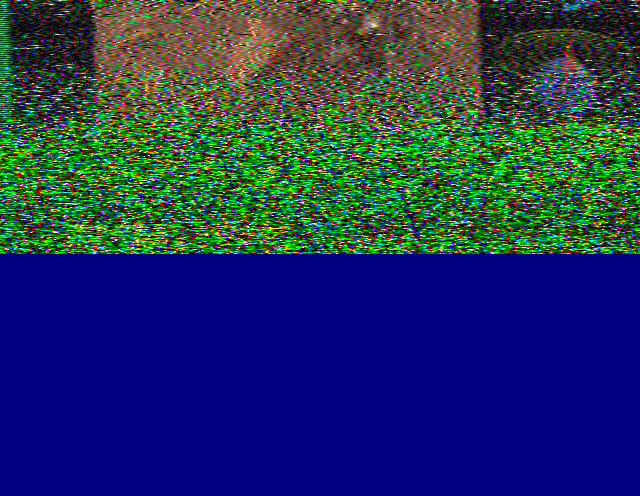 After hickups in recording audio from the radio on two previous passes I rebooted the whole system (it was nagging about a reboot anyway) and I received two more partial images. 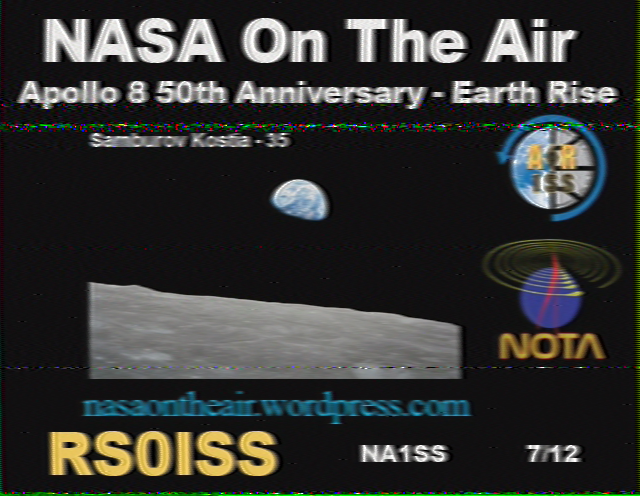 Thanks to ARISS Russia team member Sergey Samburov, RV3DR for making this possible! 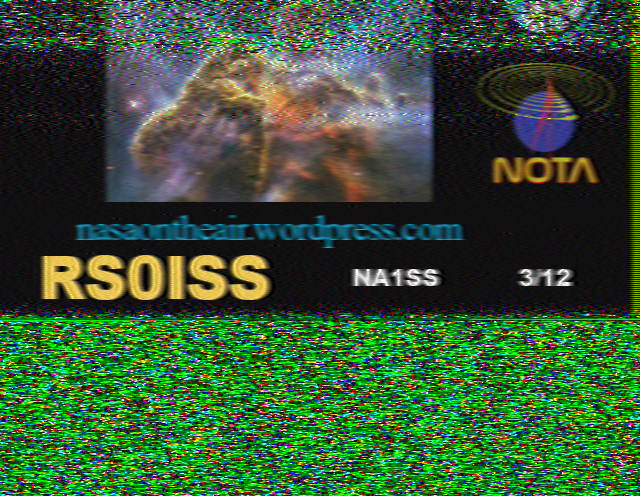 Second pass of the International space station gave me one partial picture and one complete (with some noise). 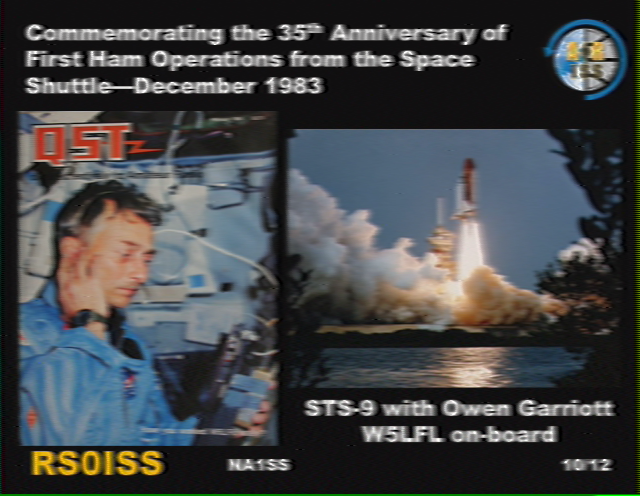 In this weekend there are extra slow scan tv (SSTV) transmissions from the international space station (ISS). The ISS moves across the sky when viewed from earth so I calculate beforehand when it will pass across the sky and what the trajectory will be. I woke up in time to be outside for the first one. 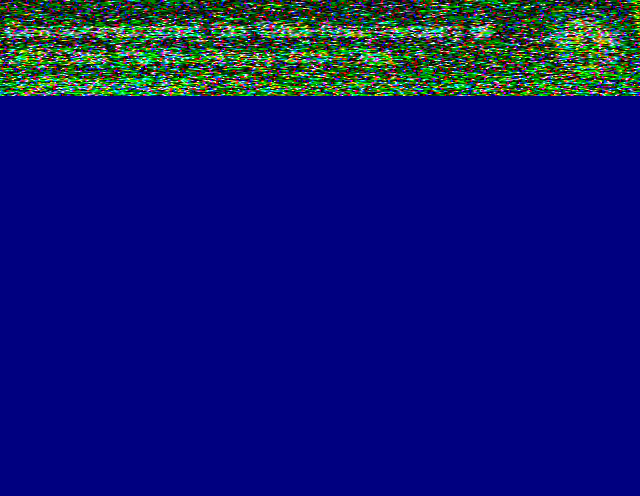 A low pass over the horizon and most of the pass matched a pause between transmissions, so not much image received.